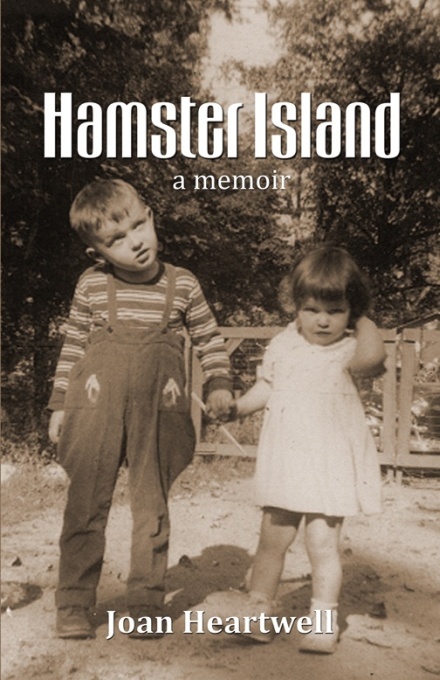 Hamster Island is Heartwell’s story of growing up ordinary in family that embodied dysfunction. Her childlike shame for her special needs siblings is balanced by a fierce love that, occasionally, enabled her to shed her diffidence and perform extraordinary feats of pluck and valor. Funny and heartbreaking simultaneously, Hamster Island is a coming-of-age in the tradition of such darkly comic memoirs as Mary Karr’s The Liars Club and Augusten Burroughs’ Running with Scissors; it delights while exploring issues of identity, transformation, and responsibility. I was impressed by this talented author and her attention to detail as she takes us back to the sixties, as a teenager living amidst a truly dysfunctional family composed of an indifferent father, a religious fanatic mother, a kleptomaniac grandmother, and two special-needs siblings. With her deft pen, the author offers the reader a glimpse into the heart and soul of a sensitive girl and her conflicting, contradictory emotions which range from intense rage to chilling sadness to heart-breaking love, and then some. 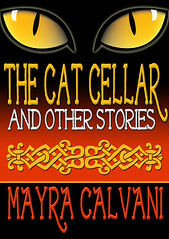 At times painful, at times humorous, Joan paints a vivid picture of her world and her struggles as she tries to survive among unfit adults who instead of being there for her, supporting and guiding her, as they should, turn her universe into one where she herself must become the grown-up and caretaker. Joan’s prose is smooth and fluid, often witty and at times truly beautiful. Her tone is dark, which fits the story and subject well. So many themes are explored in this memoir…religious fanaticism, duty, freedom, compassion, sacrifice. Hamster Island is a memoir that makes the reader ponder about life, the people we don’t like but whom we love, and the sacrifices that we must make for our family. Highly recommended for fans of memoirs! Criminal Injustice by Samuel Francis Book Blast – Win a $25 Amazon Gift Card! Brian Wilson lived a quiet, peaceful life as the vice president of a savings and loan company in Albuquerque, New Mexico, until he approved a loan for a certain corporation—a corporation of which Brian was part owner. For this, Brian was sent to prison for twelve months. Upon his release, lesson learned, he became a business consultant, focused on putting his life back in order and taking care of his wife. Brian throws all his effort into living a normal life—only to find himself the witness of a drive-by shooting. Brian reacts without thinking, thwarting the gang’s efforts and saving the would-be victim, which eventually leads to the incarceration of the gang members involved. Soon after, Brian and his wife began receiving death threats, but because of his past indiscretions, the court will not allow Brian to own a gun. Brian’s wife owns a pistol, though, and when the gang sends men to kill the couple, Brian uses it to defend them both. In response, the district attorney indicts Brian for being a felon in possession of a firearm. Now, Brian—a heroic citizen who stood up against crime—must rely on a jury to determine his future. Will their decision determine criminal justice … or Criminal Injustice? Samuel A. Francis earned his juris doctor degree from the University of New Mexico Law School in 1966. He has been a practicing attorney since September of that year. 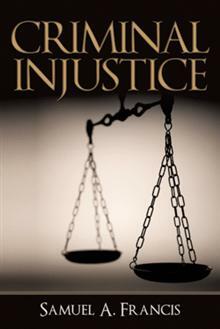 Criminal Injustice is his fifth book. Pump Up Your Book and Samuel are teaming up to give away a $25 Amazon Gift Card! High Up in the Rolling Hills by Peter Finch Book Blast – Win a $25 Amazon Gift Card! In his youth, Peter Finch wove his way through a series of exploits and adventures. Travels took him to Canada, where a fateful encounter in the Rocky Mountains opened up new horizons. In midlife he and his wife Gundi made the shift to country living, ushering in a new phase in their life, as they set down roots in the hills and settled into a deliberately simplified lifestyle. Peter relates how he and Gundi immersed themselves in ways guided by nature. As she created and sold glass sculptures, he sunk his hands and tools into pure glacial-till soils, sowing, planting, and growing culinary and medicinal herbs, heirloom vegetables and salad greens to take to farmers markets and restaurants in and around Toronto. Invigorated by the pleasures and health benefits of growing, selling, and eating fresh organic food, Peter reveals how he became a passionate advocate of traditional, small-scale, chemical-free farming. 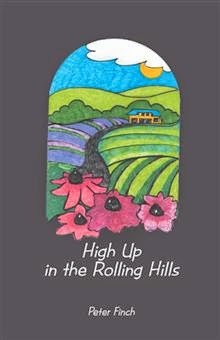 High Up in the Rolling Hills shares the personal journey of an independent couple as they explore the vital role of nature, creativity, and healthy food in life. Pump Up Your Book and Peter are teaming up to give away a $25 Amazon Gift Card! Making Lemonade with Ben: The Audacity to Cope by Katherine Perreth Book Feature – Win a Kindle Paperwhite! With deftly wielded humor and heart-wrenching candor, Katherine Perreth vividly recounts the myriad physical, mental, emotional and spiritual repercussions stemming from her son’s massive brain hemorrhage. Seven-year-old Ben suffers numerous disabilities and, later, mental health challenges. Yet, love wins. Universal themes of perseverance and compassion encourage readers to contemplate contemporary issues: mental illness treatment, recovery and stigma, the role of intentional employers in the lives of those with disabilities, and the success that can occur when a community values all of her citizens. Katherine holds UW-Madison Social Work and Sociology degrees, is a reporter for her hometown newspaper, the Middleton Times Tribune, and conducts a class on reminiscence writing. In addition, in her role as administrative staff with WESLI (an ESL school on Madison’s capitol square), she deals in chalk. And paper. Oodles of paper. 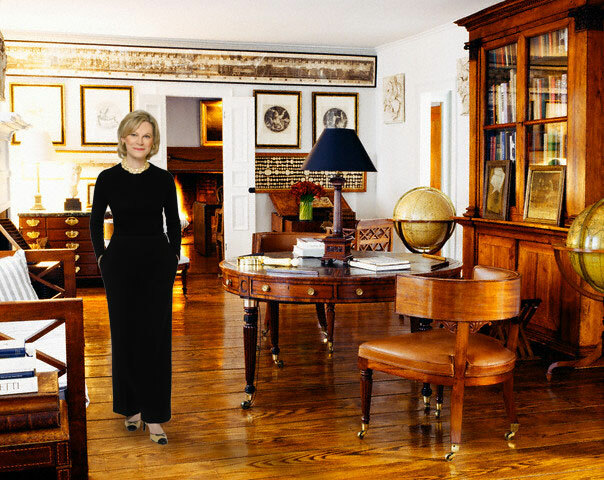 She recently took an EmptyNester Victory Tour with her husband of 28 years, but hasn’t yet changed the locks on their home. Their three kids can still get in. Drop by to pay her visit at: www.katherineperreth.com. Katherine is giving away a Kindle Paperwhite! 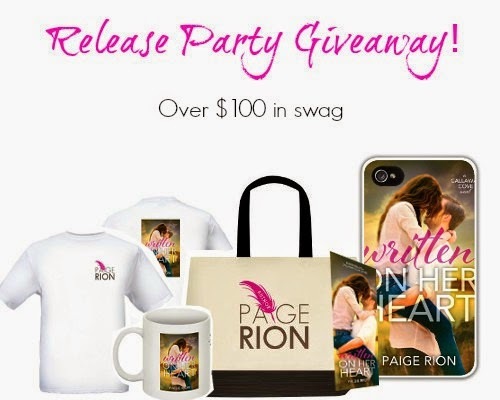 This giveaway begins April 21 and ends on June 27, 2014. Winners will be contacted via email by July 2, 2014. 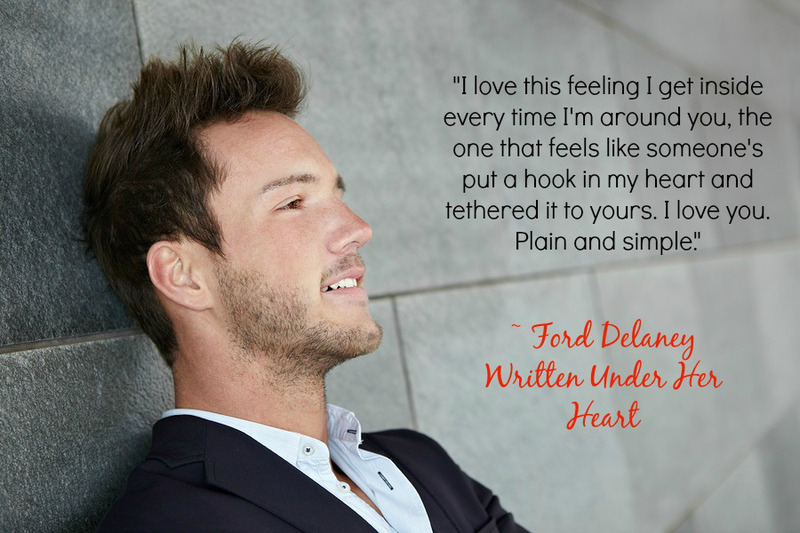 Written On Her Heart Spotlight & Teasers! bookmark and a mini Paige Rion candy box! signed bookmark and mini Paige Rion candy box! genuine Paige Rion signature. Signed bookmark and mini Paige Rion candy box. and a mini Paige Rion candy box! Although Lynn Steward’s debut novel, A Very Good Life, takes place in 1970s New York City. it has a timelessness to it. Dana McGarry is an “it” girl, living a privileged lifestyle of a well-heeled junior executive at B. Altman, a high end department store. 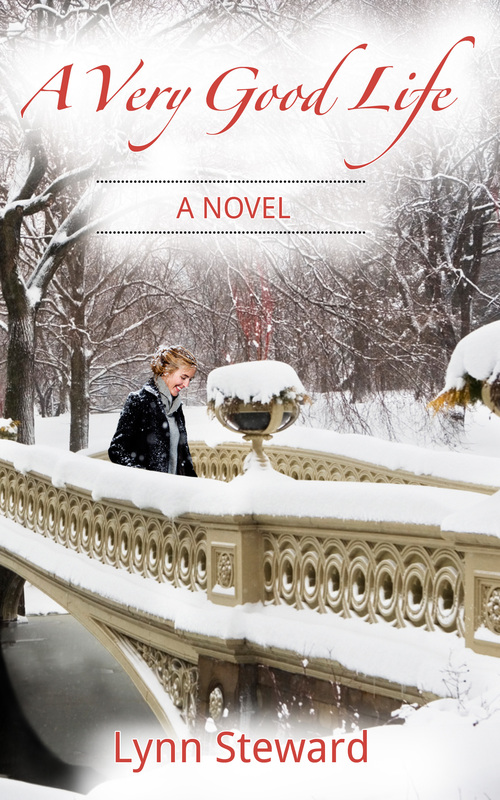 With a storybook husband and a fairytale life, change comes swiftly and unexpectedly. Cracks begin to appear in the perfect facade. 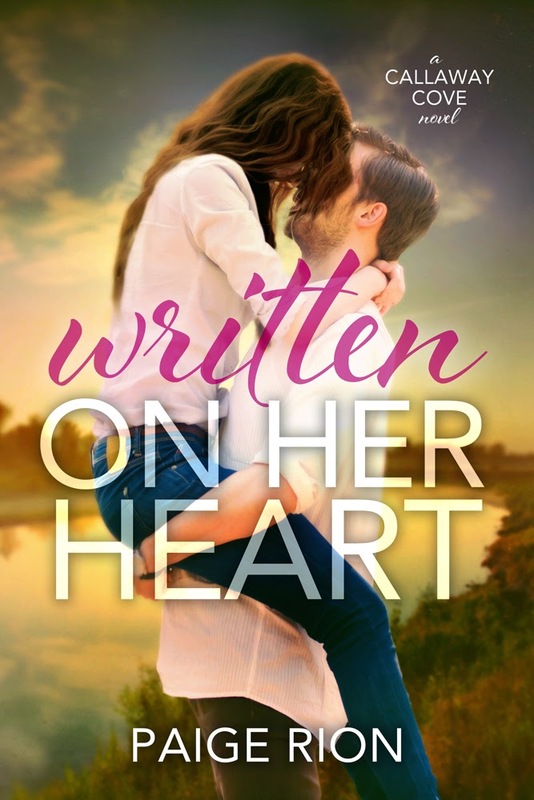 Challenged at work by unethical demands, and the growing awareness that her relationship with her distant husband is strained, Dana must deal with the unwanted changes in her life. Can she find her place in the new world where women can have a voice, or will she allow herself to be manipulated into doing things that go against her growing self-confidence? Q: Congratulations on the release of your book, A Very Good Life. What was your inspiration for it? A: I always enjoyed business-related writing and thought a non-fiction self-help book, with life-lessons I learned along the way, would be a fun project. But, as often happens when you put yourself out there, I discovered another path and took it: I developed a TV pilot about New York in the seventies because, as they say “Write what you know” and I know New York. I’m a native of Long Island, and between attending school and working, I spent twenty-two years in Manhattan. I was so overwhelmed with ideas, the TV series expanded to five seasons! Appropriately placed in the New York City of 1975, which was International Women’s Year, the plots in the series intermingle fashion legends, business icons, real events, and untold stories, providing a behind-the-scenes look at inspirational women in the worlds of art, fashion, and business. After meeting with professionals in the entertainment industry, I realized that the main character needed more drama and the plots had to be developed, and I felt the best way to do that was to convert the pilot into a novel. A Very Good Life is the first in a five-book series inspired by the TV show and featuring Dana McGarry. A: Dana initially comes across as an underdog. She is extremely likeable, has a soft demeanor, and tries hard to please, but she is being treated shabbily by her husband at home and her superiors at work. 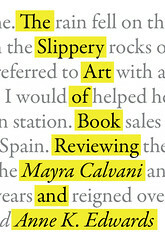 Readers start routing for her immediately, hoping she will succeed in her quest for self-fulfillment. Can she find her place in the new world – International Women’s Year – where women can have a voice, or will she allow herself to be manipulated into doing things that go against her growing self-confidence? A: I started developing the TV show approximately three years ago, spending the first year and a half researching historic facts, places, and events from the period, and creating the characters. I did not have writers block or any bumps along the way. The story just kept writing itself. Characters I thought would play an important role, never made it to the page, and others that I least expected became my favorites. A: I again go back to “Write what you know.” New York City, especially Murray Hill, is home to me. As a child I was often in Manhattan visiting my grandparents in their Italian neighborhood on 106th St Street.There is so much to draw on when writing about a place or topic that is familiar, or part of your soul. I lived many years a few blocks from B. Altman, and I was in the store practically every day, as well as Mary Elizabeth’s tea room, the lectures at the Metropolitan Museum with Rosamond Bernier, and, of course, the exciting costume exhibits at the Met staged by Diana Vreeland. I have great affection and enthusiasm for the real and fictional characters, and the period, and I think that is translated to the page. A: No anxiety at all. I think it helps to be prepared with good research, photos for inspiration, and organized files, readily available when an idea is sparked at the keyboard. I think, no matter your subject, organization is key. Your mind cannot possibly keep everything neatly filed and available when you need it. My iPad has been tremendously helpful for note taking, and I constantly use it in conjunction with my computer. A: My favorite time to write is early in the morning, preferably around 5:30 a.m., when my mind is clear, it is peaceful, and there are no interruptions. I won’t allow myself to even peek at e-mails, I don’t want anything to distract me for at least three hours. I am always surprised and disappointed how fast that time goes. A: Being at peace with one’s self, happy to face a new day. A: I believe that may be a problem. I quickly learned that writing becomes an all-consuming passion; you effortlessly and selfishly block out everything and everyone. I find author interviews in The Paris Review give good and interesting insight into the minds and lives of writers, and, while all are very different people, they share an intensity that even I, at my inexperienced level, could relate. With that being said, I think if you really long to get that story on paper, you will find a way; structure a routine, a time of day to be alone. It’s difficult to write many hours straight, so you will welcome the company of family and loved ones. Just try to curb your enthusiasm and don’t expect others to care what your favorite character did in the last chapter; trust me, they rather wait to read the book! A: Orwell got the driven part right, but I did not have a horrible experience; surprisingly exhausting, considering I was seated in one spot for hours and not running a marathon. But, yes, the editing is stressful and tedious; you pull one thread, and everything else falls apart. The passion, however, or as Orwell said, the demon, returns you to the same place the next day. A: I have met the most wonderful people on this new journey: kind, helpful, and patient. 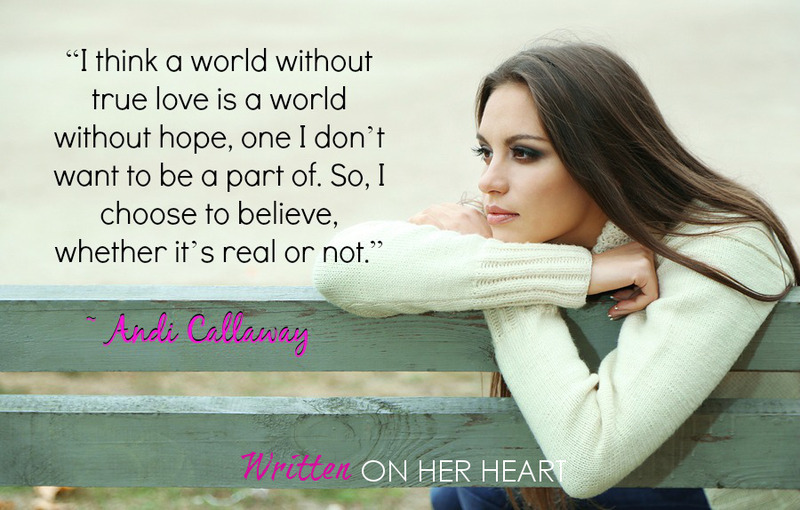 I have had two high energy careers, and I am enjoying the peaceful world of not only writing, but of writers. 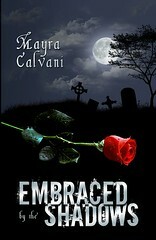 This book is about self-discovery and the journey that awakened me to the many facets of life. The road hasn’t always been easy with its tolls and junctions. It’s about my struggle to discover who I really am, what I believe in and how I’ve arrived at a place where I am able to appreciate myself and my surroundings. Most of my life I lived in a state of arrested consciousness without being aware of it. Then one day out of nowhere my eyes opened just enough for me to question my way of living and my state of mind. That was the day questions started to arrive. They were nothing like the questions I had before. As if they weren’t even questions they were an unraveling string of realizations followed by overwhelming sorrow. How could I have lived my life as if I was in a semi coma and in turn induce my own suffering? Of course in the beginning of seeing I didn’t realize that my eyes would open slightly from time to time to give me an illusion of happiness, but because I had no idea what true happiness was I would drift back to my state of familiarity. I lived my life mostly on an automatic life-sustaining machine by my body without my mind interfering with it. It is my hope that the stories I share with you will somehow touch your heart, perhaps crack open a door and shine a light for you to embark on your own quest of self-discovery. I don’t presume to have all the answers; I don’t even know all the questions. At the very least, I am seeking to understand and allow life to happen; learning to take responsibility and ownership of myself and my actions, and appreciating all that is. Read the chapters, each on its own. 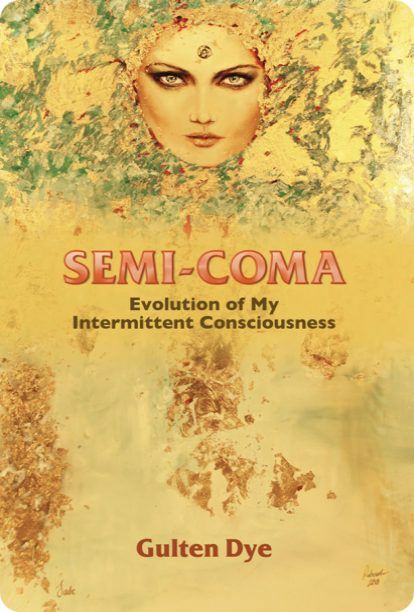 As you move through them, you will uncover my intermittent consciousness as I explore my thoughts or beliefs and might be able to even get a glimpse of my evolution along the way. I am blessed to have had so many people touch my life and, knowingly or unknowingly, helped me on my journey. I have come to realize that because we are all one, that anything I come to know and am willing to share with others affects all of us in a positive way. With great humility, I open up my imperfect, yet perfect, life for you to walk beside me. I am forever grateful and honored. Clinical rotations started during the second year in nursing school. As you can imagine, after being in school for a year and not even seeing the inside of the hospital other than the morgue, was boring and seemed like a waste of time for a nursing student who chose her profession to be around the patients. Who needs microbiology when you can be in the middle of the action, in the hospital with patients? Although we had a few boys in our lab technician division, our mostly female boarding school was kind of exciting, especially when we lined up in front of the school bus in our uniforms to go to the hospital. There were thirty-five girls, who were divided into groups of seven in my class. One of the criteria for graduation was that we all had to rotate to every clinic in the hospital over a three-year span. Nursing student uniforms are definitely different than the all so exotic nurses’ uniforms. Our pale blue, cotton, short sleeved, tent-like dress buttoned all the way up to our chin. We always had to wear white stockings, white shoes and a white cap. We had to put our hair in a bun under our cap and were not allowed to have long nails, make-up or any jewelry. In the winter, we wore a long, dark blue cape to stay warm. All in all, I think that our uniforms were designed on purpose to make even the most beautiful girl unattractive. But no matter what we were wearing, we all thought we were all that at the time. First rotations consisted of behind-the-scene things like, diagnostic and research labs, allergy and immunization clinics, and home health. One of my personal favorites was home health. That was when one of our teachers would take us to visit families in mostly lower income neighborhoods. We would teach them about birth control, childcare and the importance of having regular check-ups. Since they knew of our visit, it was customary in Turkey to “force feed” anyone who dared to pass by your home, and we were always fed delicious food. Our visits were always in the afternoon, and like the English, we love our hot tea, pastries, tea biscuits and cookies. It was these that we were mostly served. At times, someone would really go out of their way and feed us traditional foods, which were heavenly. Even with all the food I loved eating, I didn’t want to teach home health. I grew up doing most of that with my mother. She was a midwife nurse, and besides delivering babies, one of her many job descriptions was to teach home health, and I often tagged along with her. My job as a child was to help Mom do all that. I wanted to go to the hospital where the patients were, or so I thought at the time, anyway. But, then again, those rotations which lasted 3 months were still much more exciting than being stuck in a classroom all day long. Besides being in the huge university hospital, no matter what clinic we had to go to was beyond anything I had known up to this point. Each clinic was like a small city unto itself, housing several buildings, each several stories high. There wasn’t a day that went by that I personally didn’t experience or live drama through the stories of other students. Each night after mandatory study sessions, we would gather on our beds and share mind-blowing stories until our mandated bedtime. Although it did not become clear to me until years later, there was no emotional attachment to the labs, morgues or in teaching home health. Personally, as long as I didn’t come into contact with a patient in human form, it was easier for me to deal with anything that had to do with paperwork. It felt somewhat unreal to find cancer cells with a microscope in someone’s blood in a lab and then be the one to document on a piece of paper their unfortunate fate. It was as if it were a game, not reality. But it was quite different to hear the news of someone you only met once that he has cancer. No matter how interesting it was to be in the lab and to search for diseased cells, it still wasn’t my cup of tea. As the rotations continued, I remember moments that had rendered me speechless. One such moment was when I saw a dead body for the first time. It was shocking! It was even more shocking to cut with a blade on a dead body, all in the name of science. When a patient I got to know passed away, I felt deep grief. Early on, I somewhat understood that getting to know the patients wasn’t a brilliant idea. I don’t think anyone intentionally wanted us to learn any life lessons; rather, overall, going to the clinics was designed to make us mechanical caretakers of the body, and its needs. But you would have to be dead inside not to be affected by what goes on in human lives in and around the hospitals. I stared straight into the fearful eyes of people who were in intense pain…people who looked at me, deep into my eyes, with a need for compassion. Some even reached to grab my hand to ask for mercy to stop their pain and misery. At the time of its happening, I didn’t pay attention to my real emotions or the attached lessons since I was pretending to be very strong. They surfaced years later. But, let’s get real! Of course, we were all affected from such a dramatic work place! After those rotations, often a student would drop out of school since it was hard for most to handle such things on a daily basis. Unlike most work places, mine was full of saintly lessons if your heart was wide open. In hospitals, humans are most vulnerable. They willingly or unwillingly must let their guards down, and they have to trust and depend on total strangers. It is very humbling, to say the least. Usually in such a place, ego has to go into its dormant state and, in my opinion, where it should remain for eternity. In a hospital, human drama in every stage is out in the open for all to witness. Often, after we or someone we know gets critically ill or is dying, we crumble. As students, we crumbled along with the patients and their families to almost the same small pieces under the heavy burden. Witnessing and being a part of human suffering on a daily basis has its difficulties, especially when you are very young. In such an environment, you don’t get to take your time to grow up. You sort of grow up over night. Not all things that make you grow up in a hospital are considered suffering. In the beginning, there are mostly times of hardship where you get to learn your lesson often under very rough circumstances. Though your fate is being tested on an hourly basis, if you allow it, this is a place you can become saintly after many tears, heartaches and lessons. Even if your heart is too small, you are sort of forced by nature to become more compassionate in your caring for others. At the end of our required four-year education, which at the time felt like a long, dreaded winter, we completed our metamorphosis beyond any shadow of a doubt, but without the few students who had to drop out. We emerged as beautiful butterflies. I know and acknowledge the need and the importance of a nurse in human existence. Beyond the ideal glory job, I don’t think there is much glory in nursing. Like anyone else who has had hands-on job training around the critically ill, no one can ever claim they didn’t cry at one time or another. I remember questioning the existence of God through tears after witnessing the death of a young child with leukemia in the Pediatric Oncology unit. I remember feeling overwhelming sorrow, while watching a person shrivel right before my eyes, after hearing the news of losing a loved one in the emergency room. I remember being crazy afraid to forget to give someone their pain pill and cause them further suffering. There were a few occasions when the fear I felt was not for someone else, but was for me. Like the time when my teacher locked the door behind me, right after I had entered the male lock-down psychiatric unit. For years, I couldn’t shake off the feeling of being dragged through the long hallways. In reality, what had happened as soon as she locked the door behind me, a chain-smoking, smelly, male patient grabbed me by my arm and made me walk with him what seemed like an eternity until one of the unit nurses came to my rescue. It’s not that she really cared to rescue me because it wasn’t a secret among students those days in Turkey that while most nurses sat behind their desk and chain-smoked, we had to do all their chores. And believe it or not, in 1987, I even remember smoking in the lounge of a surgery center where I worked in Shreveport, Louisiana. Wow! Imagine that! Thank God, times have changed! Sometimes, though not nearly enough, there were divine moments where your faith was restored and reminded you of the other side of the coin. Like the times I, along with other students, breathed in and out for long periods and began puffing with the women who were in labor, bringing new life into this world; or when I was the one delivering the news after just learning that after a long, fierce battle that someone was cancer-free, and together through tears of joy, we shared a life-affirming moment. Although I remember some of those feelings and recall them as my memories, they are now mostly faded like background noise, and only occasionally occupy my mind. But there is one memory of a moment still as fresh as the day of its happening. In my third year of nursing school, we were given more and more responsibilities, such as working in places like the Burn Care Units, Intensive Care Units and the operating rooms. By this time, I was becoming a cockier, seasoned pro and I knew it. However, it soon became apparent how little I knew. I never will forget the moment when I carelessly walked into one of the rooms in the step- down Intensive Care Unit. I literally felt all my blood draining, rushing out of my body. I froze at the sight of a patient who was in a semi-coma. There was a young girl in a hospital bed, her body propped up with the help of several pillows. Her head had slipped to its side and was now tilted at an angle. It almost looked as if she were looking down, but had lifted her head halfway to look at you without straightening her body. Her eyes were unnaturally open. After my initial shock wore off, I noticed a large ventilator with a thick, white tube going from the machine to an opening in her neck. I later learned that she was in her early twenties and had slipped into a coma seven years earlier due to a brutal car accident. She now was in a semi coma, her life being sustained with the help of the external ventilator. For me, the most haunting thing was her eyes.Her eyelids had atrophied due to years of not using them, leaving her eyes exposed. Although her eyes were open, they were empty like someone had sucked the life right out of them, but forgot to do the same thing to her body. She was alive, but without the presence of emotions. There appeared to be no signs of life in her. After the first day, I somehow got used to her just lying there. Each day, we would care for her with the help of her devoted family. It was like taking care of an infant, but because her body was much larger, it made it harder for us to handle her. It usually took two of us to care for her needs. Besides the usual need to change her diaper, give her a bed bath, comb her hair and brush her teeth, there were added things, like cleaning the tracheotomy site, suctioning her airway, and nourishing her with a feeding tube. Since her circulation was diminished, we would have to reposition her to prevent bedsores, which were deadly for anyone in her condition. When we turned her and tried to exercise her limbs, she would moan an almost invisible moan. At times, while I massaged her frail body with talc powder, I would think to myself, “Why bother, as if after all these years later, she will wake up and have a life that is worth living?” In my mind, I was thinking since she was not conscious of what was going on around her and could not control her bodily functions, she would not experience feelings nor would she have the ability to interact, experience awareness or make the choice that her life was not worth living. After I spent two days a week with this girl for several months, I went into her room one day and found the bed empty. “She must have passed away,” I thought. As I inched my way to the usual hustle of the busy nurse’s station, I was surprised at my conflicting emotions. On one hand, I felt the same emptiness inside of me as I did after the passing of each patient I had come to know. On the other hand, I was happy for her. Her suffering finally had come to an end. Afraid of looking weak, I didn’t want to ask if she had died. “She went home?” I repeated back, without being able to hide my shock. “Yes, she went home.” repeated the nurse before handing me a list of things that had to be done that morning. Apparently, one day, out of nowhere, she had regained her consciousness. Did that mean that she could now breathe on her own, and have voluntary movements? Did that mean she could now see when she looked? Did that mean she is now like the rest of us in a semi-coma in consciousness only? Her brain might be back to do its job and to take care and help sustain her body, but her state of mind will remain in the state of Intermittent Consciousness. To tell you the truth, at the time, I was not awake enough to have noticed such thoughts. Not until years later did I have enough clarity to question what it means to wake up after seven years of being in a coma. From that shocking moment up until now, many years have passed. Along the way, I experienced rare moments of pure joy, as if I could zoom in and see myself and everything around me with such clarity, in great detail. In those rare moments, I felt intense aliveness. I often felt like I could fly! It was as if I were a butterfly, who landed on each and every flower petal to take a closer look. I could smell scents I didn’t even know existed. I not only saw the colors of things, but the depth of the colors themselves. In those fleeting moments, I felt utter contentment, peace and happiness. I didn’t know to question where these feelings of bliss came from or if I had the power to make it happen more often. In my innocent ignorance, I attributed those moments of random happiness to external conditions outside of me because they usually happened during long, intimate moments, while dancing, or after a super long walk in the wilderness. I thought that the other person or the condition was the cause of my happiness. So when I felt that way, I believed that I was in love with that person and wanted him to give me more of those moments. As for dancing, I went every weekend and danced for four or five hours nonstop. I didn’t understand that when I experienced those moments of joy, even if only for a split second, my overloaded brain stopped thinking and went into a meditative state where all mental chatter ceased. It was only then that I became aware of all the beauty around me. Since I had not heard about Wayne Dyer, Deepak Chopra, or Eckhart Tolle at the time, I went on living my life on an automatic invisible life sustaining machine, wishing for more of those moments. It took years of mental suffering before I learned the simple truth about living in the present moment. I seldom had moments of clarity. Conscious presence was a rare occurrence for me. Even when I had moments of clarity, I wasn’t aware of them until years later. It would take me years to get to this point of feeling alive and being able to zoom into my inner self, as well as the inner self of all those other beings around me. There is a real joy of knowing the way to true happiness that doesn’t depend on outer conditions. Perhaps you will find the story of my Intermittent Consciousness and my search for enlightenment resonate with you, or better yet, start to awaken something within you.